Juke Box Jury was chaired by David Jacobs. 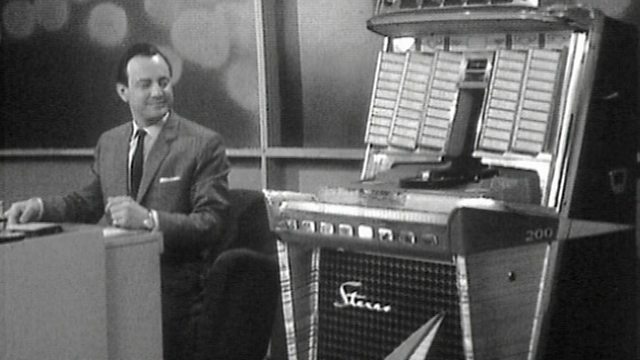 Each week he played a selection of 7" singles on a large juke box to a panel of four celebrities. As the music played the camera moved over the faces of the panelists and the audience so the viewer could gauge their reaction. The panelists then gave their opinion of the discs and voted them a hit or a miss. If there was a tie a jury of teenagers drawn from the audience would have the deciding vote. Each week a mystery performer was revealed after the panel had voted on his or her disc, to the joy or embarrassment of the panel.